>> Integration: Social and digital media will play a much more integrated role within organisations. As opposed to being treated as separate marketing elements, brands are embracing the business functions and value offered by these media types. For example, there will be an increase in the use of omnichannel (multiple channel – e.g. traditional plus social media) marketing, and the use of social media for different business objectives. >> Risk & Reputation Management: With the ease, speed and reach of social media communication, the potential risk to brand reputation has never been higher. And therefore, the need for crisis and reputation management has never been more vital. Businesses will be partnering more with experts in this field in an attempt to best avoid and/or handle a possible negative public backlash, scandal or crisis linked to their brand. >> Online & Asset Security: Companies have started to realise that online resources such as their audiences, content and databases are tangible, valuable assets. As such, the need for online security will increase exponentially to address the very real risks to such assets. >> Budget Allocations: Let’s face it, not all business decision-makers were convinced that social media has a place in business. But now, the ROI and benefits are getting harder to ignore. Social media budget allocations are set to rise across all industries this year. 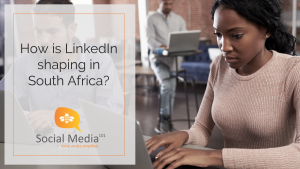 SME’s in particular (even those with tight budgets) will be investing more in social media as the cost not to is too high in the current competitive market. >> Customer Experience & Service: There will be a notable shift towards a more Customer Experience (CX) approach by brands in line with consumer demand trends. Characteristics of this approach include customer-centric elements such as responsiveness, being “always-on”, interactive communication, quality content, targeted messaging & increased use of social media. >> Brand awareness & affinity: In addition to price and quality, more emotion-based factors like customer sentiment and positive affinity will take centre stage. This is driven by CX-based factors such as ensuring excellent customer experiences throughout their journey with a brand. Positioning a brand as both client-focused and socially responsible is also a great way to drive awareness. >> Social Listening: This year, egos will take a step back as social listening activities increase. It’s no longer about assuming what people think, but instead finding out how they really feel about a brand based on what is said online. This extends to comments on any platform, not just a business’s own pages. >> Micro-influencers: You don’t need to be a celebrity to become an influencer online. 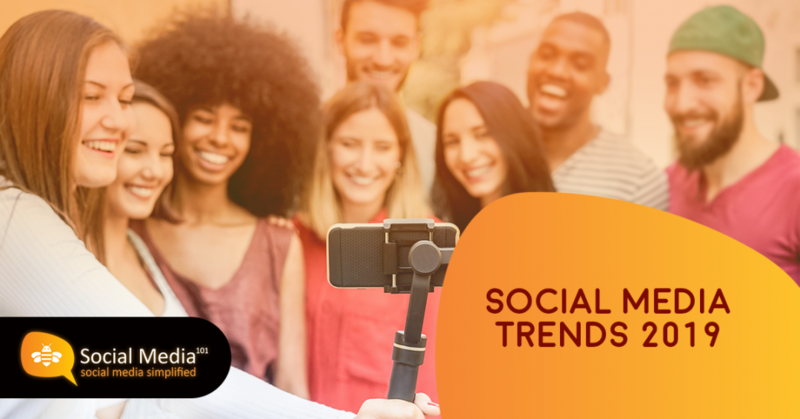 In fact, as consumers increasingly demand authenticity and transparency, brands are looking more to micro-influencers to help market their products and services. This could range from a food blogger to a stay-at-home-mom, and anyone between. It’s all about expertise in a field and/or an engaged, relevant audience. 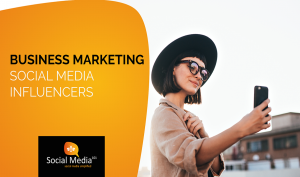 >> Influencer Vetting: As more awareness is shed on factors such as bought or “fake” audiences, brands recognise that there is a need to vet any influencer before creating a partnership. This due diligence includes verifying their audiences, approving content and ensuring that there is no conflict of interest (with a competitor, for example). >> Employee Advocacy: Also known as Employee Amplification, it refers to using key employees as online ambassadors for their company. Techniques such as positioning certain staff as thought leaders and trusted advisors will gain traction in both the B2B and B2C spheres this year. This is great for both personal and business branding. >> 360 Video: Businesses have started using 360 video to provide users with a panoramic, immersive experience. Industries that are already making use of this include entertainment and tourism companies. With customer experience being at the forefront, more businesses are likely to experiment with this video style in the upcoming months. >> Vertical Video: As social and digital gains exponential market share over traditional marketing media, vertical video will be seen more and more. This is simply because such media is viewed predominantly on mobile devices. Instagram has even launched a dedicated vertical video platform, titled IGTV. >> Native video: The use of native video (video uploaded on a brand’s own page or platform as opposed to a 3rd-party app like YouTube) will also increase. The launch of LinkedIn’s native video ad campaign options and Instagram’s long format video options further support this trend. >> Automation, AI & Machine Learning: While the “social” side of social media is all about adding the human element to online activity, the tech side is all about reducing human contact points. More businesses will be incorporating automation into their service process, for example, social media bots. 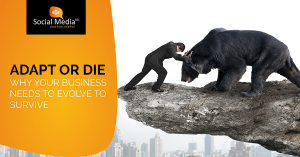 It’s all about streamlining processes, improving customer service and cutting costs. >> Augmented Reality: Ok, so maybe this tech is not quite mainstream as yet, but it is definitely super cool. Augmented Reality or AR refers to digital, interactive technology delivered to the user in real-time. For example, apps that brings a child’s drawing to life when you position a smartphone or tablet above it. This video explains it much better – click to watch. From a marketing perspective, this technology can be used for anything from outdoor media (like a bus shelter) to wine bottle labels – click here to watch video. Well there you have it – some exciting stuff in store this year. Keep watch as they start to shake up the business and consumer markets over the upcoming months. For more info on these or any other social and digital media topics, get in touch with Social Media 101. We would love to chat to you about the best options for your business. CLICK HERE to contact us.